Bob Freking has become a household designer name here at Concept Phones and now we’ve got a fresh teaser for a piece of work that Bob has been working on. It’s called Nokia Paragon and part of it is shown below. What’s clear from the pic is that it’s not a Lumia phone or a Windows Phone or any kind. There’s a slight Nokia N9 and MeeGo vibe to it, but I also fear it’s Symbian. 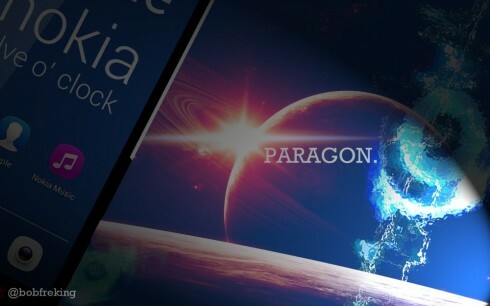 I certainly hope that’s not the case, so Paragon may end up being a Jolla OS Phone in the end. Also seeing how Nokia launched that cool Nokia Asha 501 recently, with all those smartphone features on a $99 price tag, well, it could be Asha OS, courtesy of the Smarterfone technology. By the way, Bob said “concept”, not phone, so it could be a phablet, or maybe a juicy bit of unexpected novelty, something like a prototype MeeGo tablet. Really hard to tell… what do you make of this Nokia teaser?